Use the chart below to determine drive ratios for 8-71 8mm pitch drive superchargers. 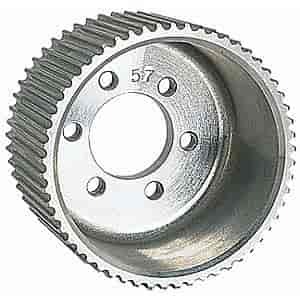 Small block 8-71 kits are supplied standard with pulleys which will provide 14.3% underdrive. Big block kits are supplied with a 11.5% underdrive. Note that top and bottom pulleys are interchangeable.